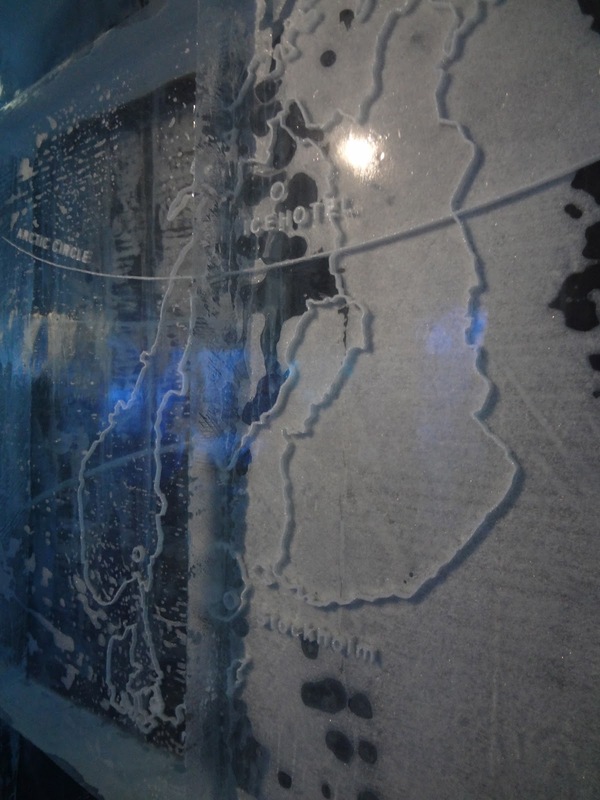 There are Ice Bars all over the world now, but Stockholm is home to the world's first permanent ice bar! Everything inside is made of ice... the cups you drink out of, the walls, the chairs, tables, bar, etc. We went inside during the day to avoid having to wait in line - and loved it. It was a neat experience to wear the big jackets and gloves. We ran into a few other couples from America and it was neat to talk to them. Ice bar is a little pricey (about $20 to get in, but that includes a drink), but we thought it was worth it because it's the only one we've ever been into. Supposedly, they bring ice in from the Arctic Circle each year to freshen it up. It was cold in there - approx -5 degrees Celsius. I wanted to go to the one in Vegas but never could find it!! Looks so much fun! so fun.. i'm definitely jealous! Now this is just too cool! Amazing! How cooool!!! Ever since the James Bond movie I have wanted to go to an ice bar!!!! This is so cool! Literally! :) What a great experience. This would definitely be on my to do list there! LOVE this so so much!!! I swear you are the only person that could look that cute in a freezing cold ice cave! Could you imagine working in something like that? Those poor bartenders! I believe I have seen something similar to this on the travel channel! What a great experience Tracy ~ love the pictures! What a fun thing to do & something you will remember forever! this is so very, very, very cool. i have always wanted to go here. so jealous! Great pictures, that looks fun!